All State Carriers is a vehicle transporter that offers auto transport services that go beyond the usual faire. They have a moderate amount of experience in the field, as their business was started in 2008. Like many auto transporters, they are based in Florida - specifically, Boca Raton, Florida. As is standard practice, All State Carriers offers free auto transport quotes for visitors. As previously stated, All State Carriers might seem like any other auto transport company, but their services feature several distinctions that sets them apart from the crowd. Unlike many other shippers, the company has a Order Tracking option available right on the front page of their website. Not mention, they also offer expedited shipping for an extra fee, and can also ship non-operation and oversized vehicles. Perhaps their most endearing service feature is their shipping guarantee. If they are unable to find a carrier seven days after an order is placed, deposits are refunded 100%. For delivery estimates, All State Carriers notes a typical travel time of 5-10 days for coast-to-coast shipping, with shorter routes taking just 3-5 days. Auto transport insurance is provided to all customers up to the vehicle’s Kelly Blue Book value. Both the shipping order and their bill of lading clearly indicate items that are not covered under their insurance policy. 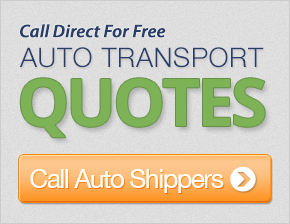 Finally, All State Carriers offers quotes for international shipping, a rarity among most auto transport brokers. I think that your services are very good. If you are able to serve any customer as quick as the customer order, I think that your company will be very successful. My rep was very helpful and a delight to work with! Everything went well - on time and our expectations were set appropriately. Thanks. I have found that the drivers are extremely nice, courteous, and very careful loading and unloading my new Corvette. This has been my second move with you. Again, thanks. I just want to say that all of ht eguys from the dispatcher, including my driver, were so nice and I fel comfortable dealing with them. My rep was also very good. Thank you for my baby arriving cross country safe.